Jdm Hawkeye impreza key fob replacement and coding. I've had a good phone round today of subaru main dealers and company's who replace car keys and fobs but had no joy at all. Because of the UK's Sigma alarm adoption UK cars of this vintage have a bespoke one button key with the Sigma radio key (fob) circuitry added to the keys pcb. it's a jdm spec c, the ignition does have an illumination surround so no immobilized. Looking a bit closer, they also list 57430SA010 - one with transponder one without ?? Hi. Just wondering if you ever got your key sorted? I’ve recently bought a JDM with one key and would love a spare. Please let let me know how you faired out. Jdm didnt have imm did it . I’m not sure if mine has an immobiliser / alarm. It’s a 2006 S204. I visited a Subaru garage today in north London and they told me they can’t source a new key. I'm a bit confused on this as i recently imported a hawkeye spec c and got a titanium key cut then find out that it wont start as i have a oem immobiliser and transponder key which i thought jdm/spec c didnt have. Is there any way around this apart from a after market ecu? could it be coded out? If anyone still needs these I can provide a VAG style flip key replacement fully immo/remote programmed for the JDM cars. Actually that's not not the case, the JDM newage cars all have factory immobiliser the same as the UK ones. The remote functionality itself works on a different frequency to the EU cars hence the UK dealers struggle to get them (they CAN be ordered from Japan but many dealers cant be bothered with the hassle), or program them (but the ones that do will charge over £300 for a replacement). My FSTI has the illumination around the actual ignition too. I've done a few now. Last edited by Muzza80; 27 January 2019 at 07:15 PM. Do you mind if I share this on the book of faces for you ? Sent you a PM mate, cheers! Last edited by Don Clark; 28 January 2019 at 03:27 PM. Im assuming we’re talking WRX/STI imports here (does anyone import lesser spec cars?) in which case, bar potentially the odd Bugeye WRX/STI or Forester SF5 they’ll all have the factory immobiliser/keyless system. You left out the first two iterations (revision C(09/2002 to 07/2003) & D (06/2003 to 05/2004)) of the Blobeye so quite a few about without an immobiliser. 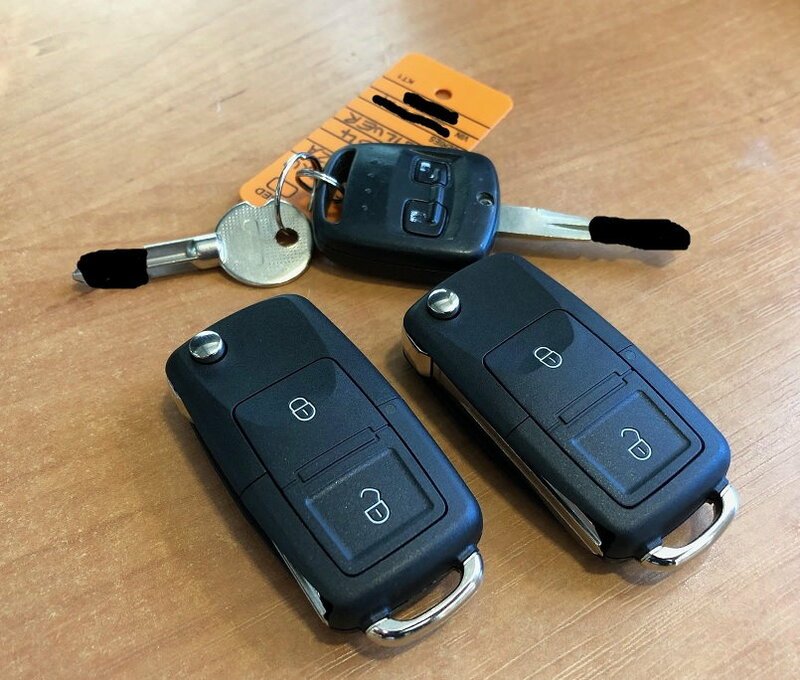 That's a pair of replacement keys going out to @Bealejonathan today for his stunning S204! Also supplied @Cheddabreeze84 one for his Hawkeye Spec C, all working at expected. Last edited by Farfocell; 05 February 2019 at 01:43 PM. Wow, thanks so much Muzza80 for sorting out the replacement keys! They work a treat and great value. After the Subaru garage told me they couldn't source a new one, I thought I was snookered! newage key 2 button key fob?? Quick Reply: Jdm Hawkeye impreza key fob replacement and coding.